Diabetes Mellitus is a devastating metabolic disorder affecting 415 million people worldwide. This number is expected to rise to 642 million by 2040. Diabetes is the main cause of lower limb amputation in developed countries. In England alone there are around 135 amputations a week at a cost of £650 million a year. In 80% of cases, these amputations are preceded by a foot ulcer. One of the main contributing factors for a diabetic foot ulcer is peripheral neuropathy where nerve damage means the patient loses protective sensation in the foot. 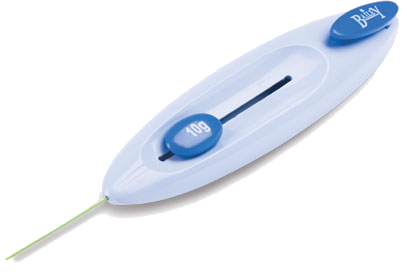 Clinically, one of the most reliable ways to assess a patients' loss of protective sensation is to use a 10-g Monofilament. This is reflected in NICE Guideline NG19 (Aug 2016) and in Scotland, SIGN 116 (Sept 2013). In both documents the correct use of a 10-g monofilament is described and recommended. use and references medical articles to demonstrate its effectiveness and accuracy.